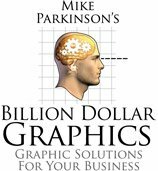 Billion Dollar Graphics: Don’t Forget Your Pants—Great visuals help put your best foot forward! Don’t Forget Your Pants—Great visuals help put your best foot forward! We're running a blog series by guest blogger, Megan Skuller, a graphic designer at 24 Hour Company, specializing in proposal and presentation design. Below is the first in a series of four blogs by Megan about how to improve your oral proposals and presentations. Using real-world examples, Megan shares her top three rules when building visuals for your next project. Oral Proposals and Presentations are fundamentally an opportunity. You (as the speaker), your company, and solutions or products are being showcased. Similar to interviewing for a job with a prospective employer, this is a chance to immediately build strong personal rapport with your prospective client. Besides your shining personality, an integral part of presentations are visual aids—they help the audience understand your key points. Think of visual aids as part of your outfit. When dressing for an interview, would you walk in with your shirt pressed, shoes shined, questions and answers ready, but forget to wear pants (or skirt as the case may be)? Of course not. Use visual aids to their best advantage—engaging the audience! In both the corporate and government world, PowerPoint slides are synonymous with presentations. If done well, a slide deck is enough. Could there be accompaniments? Absolutely. A few examples are printed boards, brochures, and props. In the book How to Wow, by Corporate Coach Frances Cole Jones, she describes a story about a client who was giving a presentation the next day on High Fructose Corn Syrup and its health effects. Ms. Jones mentions how the presentation was flat; the slides were chock-full of scientific facts and terribly boring. What was her solution? She and her client took a trip to the grocery store and picked up commonly consumed healthy foods containing High Fructose Corn Syrup. What was the result? “An interactive event!” The audience came in, examined the products, and made comments like “… I thought it was good for me.” The audience immediately became engaged in the presentation. What does this mean for the presenter? Retention! Make time for both the work and practice!! !